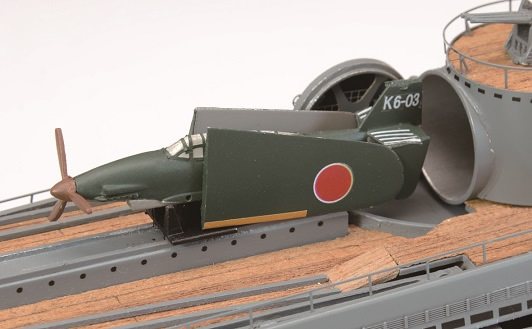 << Back "Aichi M6A Seiran / Submarine-launched dive torpedo bomber"
"Aichi M6A Seiran / Submarine-launched dive torpedo bomber"
SEIRAN is a shipboard machine of the I-400-class Submarine. 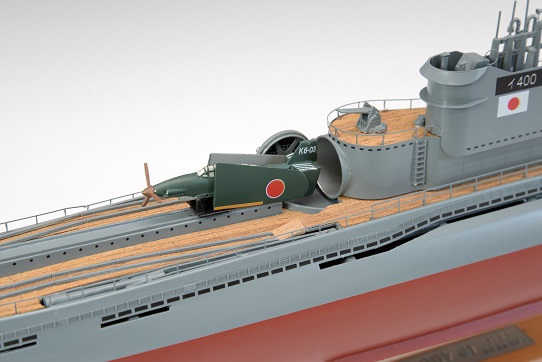 It is a special fighter that flying using catapult of the submarine that surfaced. 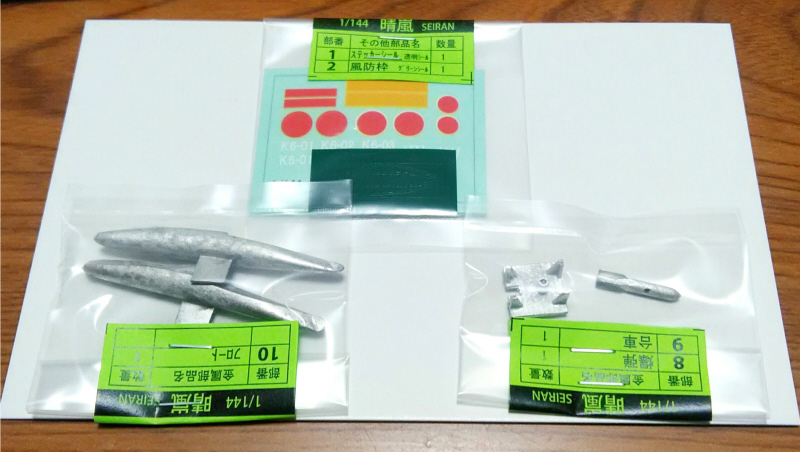 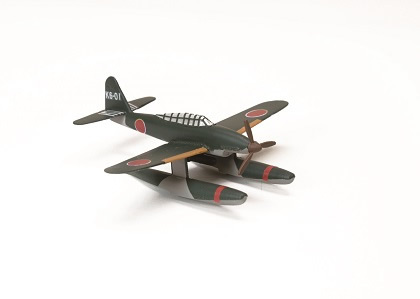 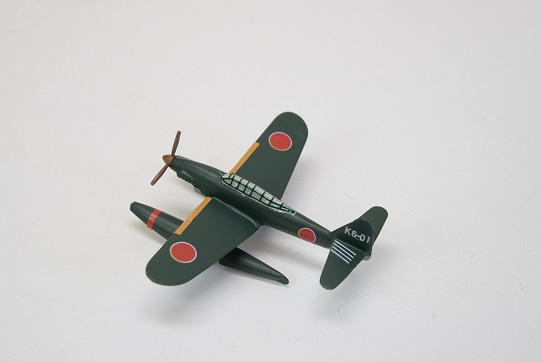 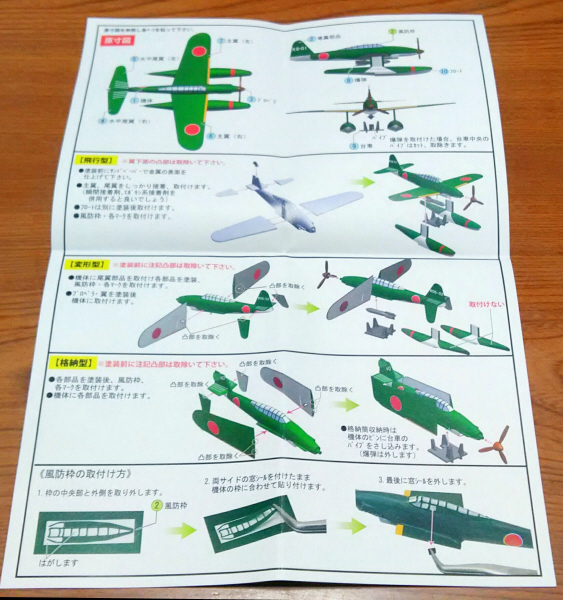 Overall length 10.64 m Overall width 12.26 m.
This model is a metal kit that allows you to select the state of the wing, either in the storage state or in the flight state. 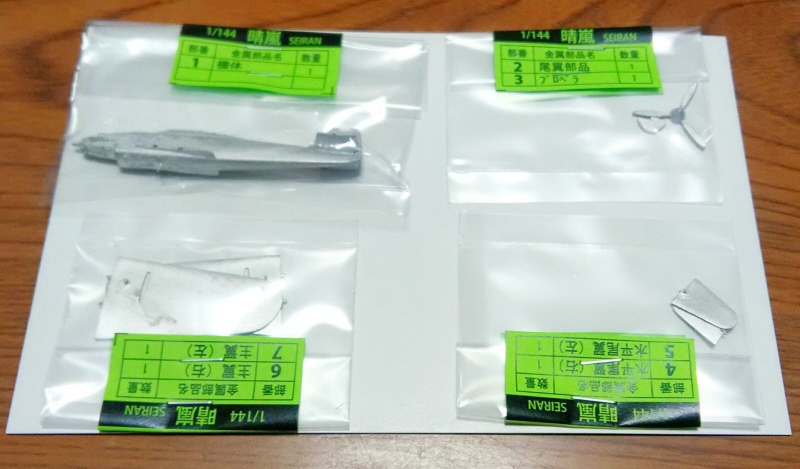 It can be mounted in the storage cylinder of I-400-class Submarine. 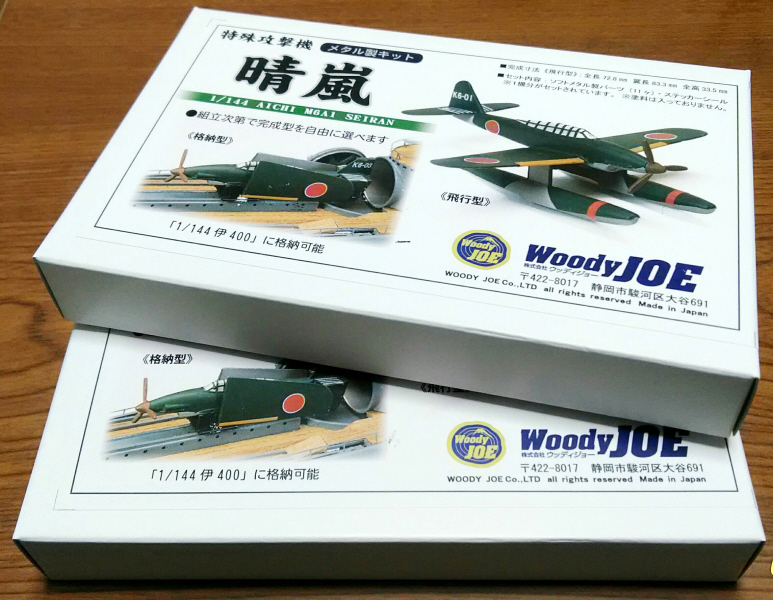 Woody JOE "Yamato Japanese Battleship"
Woody JOE "Japanese I-400-class Submarine"
Woody JOE "Mitsubishi Type 52 Zero Fighter"